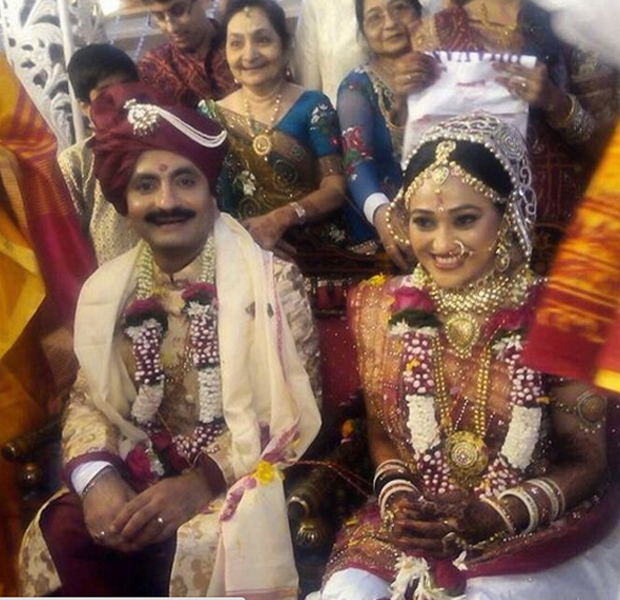 Disha Vakani, popular as Dayaben in Taarak Mehta ka Ooltah Chashmah, tied the knot with Mumbai-based chartered accountant Mayur on 24th november,2015.The wedding, a low-key affair, took place at Oshiwara. An eyewitness informs, The mahurat was at 11 am. It was a simple wedding. The groom came without any baraat. He was accompanied by 15 people in a car. Disha came out to perform a ritual, the two then went inside the bhawan for further rituals.